These pictures were taken in Rangeley, ME. 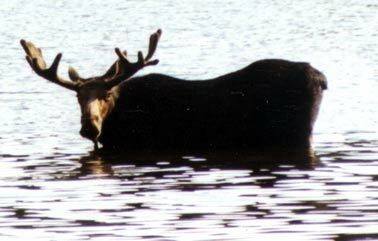 This was my first encounter with a moose. 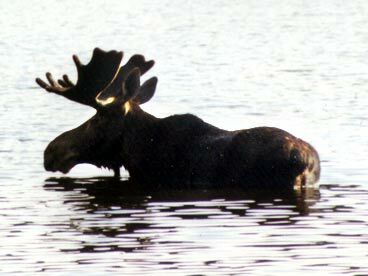 My girlfriend and I were taking a ride in Rangley hoping to see a moose - when we came around the corner there he was. He just stood in the water eating, I waited and waited for him to turn around and finally I got the picture I wanted. It was my first time seeing a moose. He was the most beautiful creature I have ever seen. I cannot wait to go back! These pictures were taken August 1999.